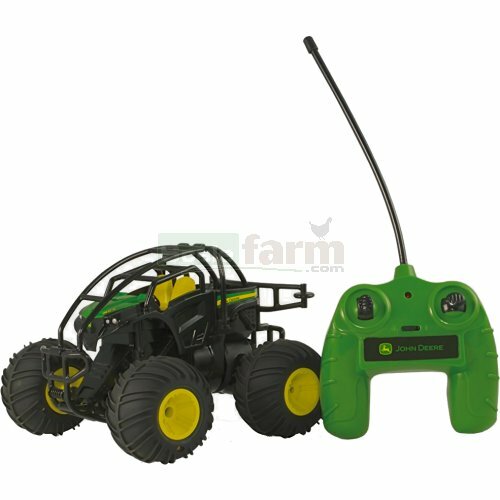 Die cast metal model John Deere radio control monster treads gator with 27 Mhz radio control. Extremely manoeuvrable, all terrain capability with super bouncy inflatable tyres allowing rear somersaults, stand and 360° spins, roll-over tricks and much more. 3 channels for multi-player, range up to 50 ft. Requires 1 x 9v 6LR61/6LF22 and 6 x 1.5v AA batteries (not included).